When the program first started in 2011, horsemen bringing Thoroughbreds to Del Mar were rewarded with an automatic check for $1,000 when they made a local start along with a 20% bonus payment on top of whatever purse monies were earned in that initial outing. Last year those incentives had increased to a $1,500 check and a 30% bonus. For 2018, the “Ship and Win” payout has grown even sweeter still. Now the automatic check has climbed to $2,000, while the 30% first-race purse bonus again will be in place. As it has since its inception, Del Mar works in conjunction with the Thoroughbred Owners of California in formulating and actualizing the program. The first season that Del Mar put “S & W” in play, it drew 107 horses. Heading into 2018, the track now can count just under 1,000 horses having been brought on board via the program, with those horses having made over 1,500 starts locally and more than 3,500 starts at other state tracks, such as Santa Anita, Los Alamitos and Golden Gate. The equine influx has helped Del Mar maintain one of the highest field-size averages in the country – in 2017 it was 8.6 runners per race (summer) and 8.5 (fall). Jerkens made note of some of the increases for “S & W” runners when the 30% first-race bonus is calculated into the track’s already healthy purse structure. 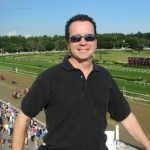 In the case of a starter in a first-level allowance race, he said the $62,000 purse would be heightened by an additional $18,600 for “S & W” horses, meaning they are instead running for a prize of $80,600. A $32,000 claimer normally races for a pot of $39,000, but with “S & W” monies added in the purse rises to $50,700. Even the track’s lowest-level horses, the $20,000 maiden-claimers, see their purses climb from $20,000 to $26,000. The racing secretary emphasized that the 30% bonus applies to purse payouts across the board, not just the winner’s share. He also noted that for local horsemen the program presents the possibilities of personal gain along with the ability to enhance the racing product statewide as it competes for wagering dollars nationally. In the case of racing outfits from outside the state, he said “S & W” makes a direct statement that Del Mar and California racing in general is more than happy to welcome them to one of the best circuits in all the sport. There are only a few basic rules for “S & W” horses: An eligible horse must have made his/her last start outside California and cannot have raced in the state within the past 12 months. First-time starters are not eligible. All stakes runners are eligible to receive the $2,000 starter fee, but no stakes runners – including overnight stakes – are eligible for the 30% first-race purse bonus. Those with questions concerning the program are encouraged to contact Jerkens, or Del Mar’s executive vice president for racing, Tom Robbins, at (858) 792-4230. Del Mar’s summer stand this year will begin on Wednesday, July 18 and continues through to Labor Day Monday, September 3 for a total of 36 racing days. Its fall meeting runs from Friday, November 9 to Sunday, December 2 for 16 racing dates.